Protect your car and valuable belongings from theft with an installed car alarm and security system. Whether you want to guard against car theft or if you’ve loaded your car with the best equipment Soundz Good has to offer, you need to protect your investment by getting a car alarm. Not only will you have the peace of mind knowing that your vehicle and its contents are protected, a car alarm can even low your insurance rates. Our car alarm installation with keyless entry includes at least one key chain remote. This gives you the ability to turn your alarm on/off, and if your vehicle is equipped with power door lock motors so you can lock and unlock your doors by pressing a button. If your vehicle has a power trunk motor, you can also open your trunk with the press of a button. 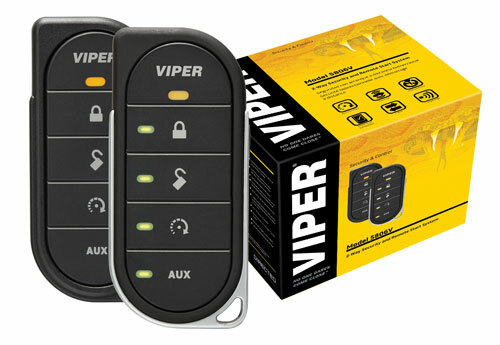 This remote access allows you to quickly lock your doors and arm your vehicle with the press of a button. Upon activating your car alarm your vehicle’s lights will flash, signaling to would-be burglars that your vehicle is secure. A great new technological feature is the GPS tracking system for car alarms. These security systems offer 24 hour monitoring. Some security systms require you to call in if your vehicle is stolen, while others provide information regarding the vehicle’s location over the internet. We also do custom installation of integrated GPS systems. Ready to Schedule Your Car Alarm Installation?